When someone asks me what I do for a living, I can give the short answer that speaks of helping men prepare for the HiSET exams so that they can get their high school equivalency certificate. There is also a long answer – which is more of an essay. This is because Begin Anew is so much more than getting an educational certificate, (although that is important), the program of Begin Anew is a ministry. Josh is a good example of how Begin Anew desires to bring growth and newness in many areas of our students’ lives. 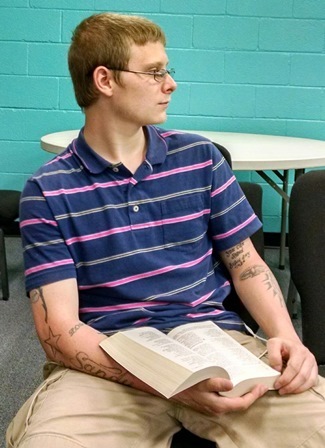 When he enrolled at Begin Anew, Josh was not attending church. After being encouraged by his mentor, Josh found a loving church near his home and got involved. He attended a camp, made a profession of faith and was baptized into the fellowship of this local church. Another impact Begin Anew has had in Josh’s life is that of helping him find a good job. Application after application led nowhere so I decided to approach a personal friend about giving Josh a job. He was happy to do so and Josh soon started work. Working was good for him and he quickly began to save his money so that he could buy a car. He reached that goal, paid cash for his car, and also got his driver’s license. Unfortunately, someone hit Josh and caused some minor damage. Nevertheless, this was another opportunity for growth in Josh’s life; we walked through it with him and he managed it well. Begin Anew is helping Josh with his educational goals, but the growth and maturity that we have seen in him is also rewarding and an important part of what we are about. We are not a program that is one-dimensional, but we are a ministry that is multi-faceted, bringing encouragement, hope, healing, as well as educational growth.